1. BEACH DAYS have been limited this month as I already mentioned! But I just have to chat about that cover photo! It was a rare day with sunshine, and we quickly knew we just had to go to the beach. As you can tell I am quite a beach lover, however I'm not one to just lay out on the beach. I love to walk on the beach. Just park our stuff in a safe area and then walk until I know my sunscreen needs to be reapplied. Haha! Which I usually get pretty far! Anyway... As I was walking, a conch shell just washed up in front of me. It was like a Moana moment! LOL! This is something that has NEVER happened! Its rare for one to find anything but a broken piece of conch, so I was super excited. It was empty, so I got to keep it too! So I took it back to our spot and put it in the beach bag. It didn't quite fit into my little snack bag I was using for shark teeth! Ha!! So I kept walking and another one washed up! In total between my mum and I we found 3! It was quite exciting. Totally made my day! 2.RAIN So whether I like it or not rain has been the norm this month, which is so un-motivating. Its been tricky to get up in the morning and want to work out when its 7am but looks like 8pm. Sigh... Anywhoo.. the rain did result in me reading a bit more than normal. 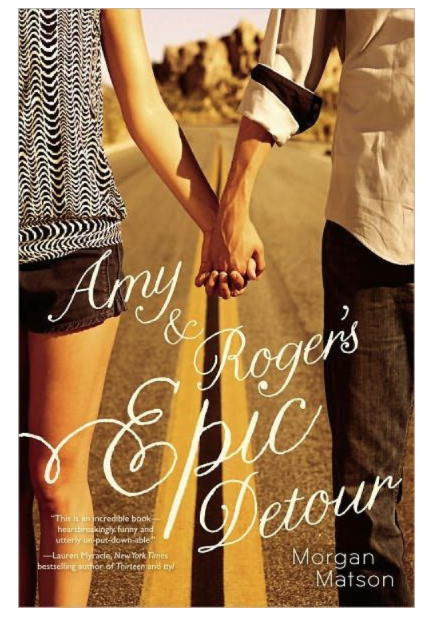 I read Morgan Matsons, Amy & Rogers Epic Detour. I've read quite a few books by her so I had high hopes! It was just eh, for me. It had some great parts but it wasn't quite what I was in the mood for I guess. I did like the set up of the book though! It was really neat! 3. PHOTOGRAPHY I love taking photos. Anytime we are out there is a great chance I will have a lot of photos to go through when I get home! Haha! 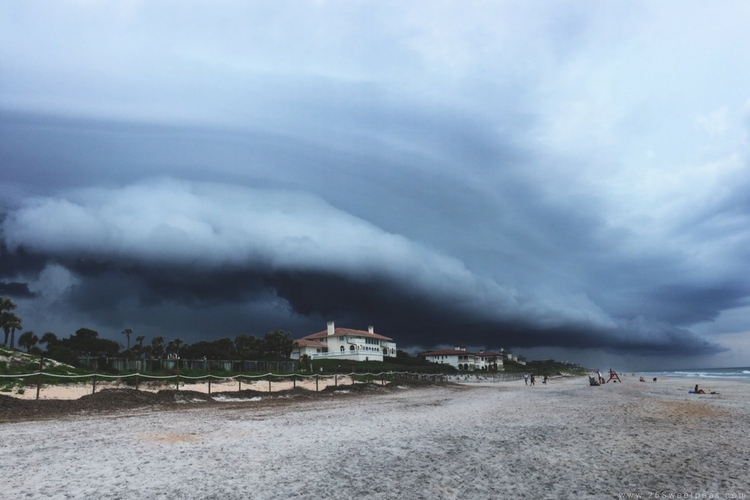 One of our last beach trips was cut short due to a storm, and that tip quickly turned into a photo shoot trip. The above photos is one of the pics! So many neat ones. One of my faves from that trip is actually a pano and I will try to share it on my IG where I post those types of photos. So if you are into that you can find those here. 4. 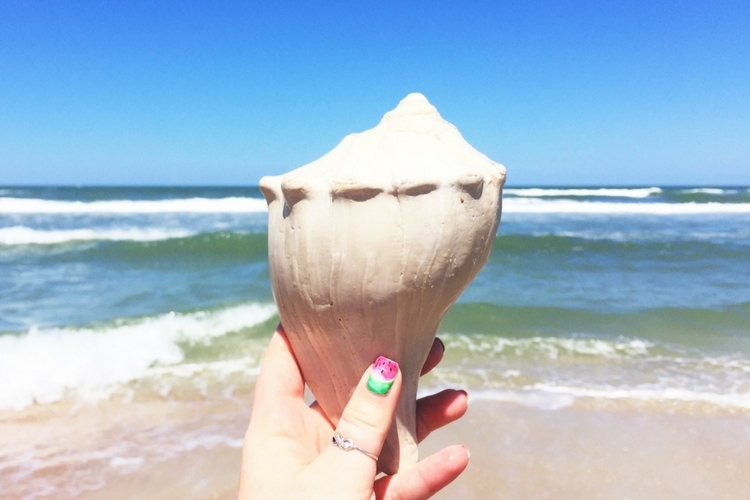 YOUR Favorite post of this past month appears to be the Pink Seashells that I did on a whim! Haha! If you missed that post you can check it out here. 6. WRITING... Yes!!! Finally back to writing more! Its been tricky to do so because my hand hurts in this type of weather but rainy days, are great times to snuggle in and write. 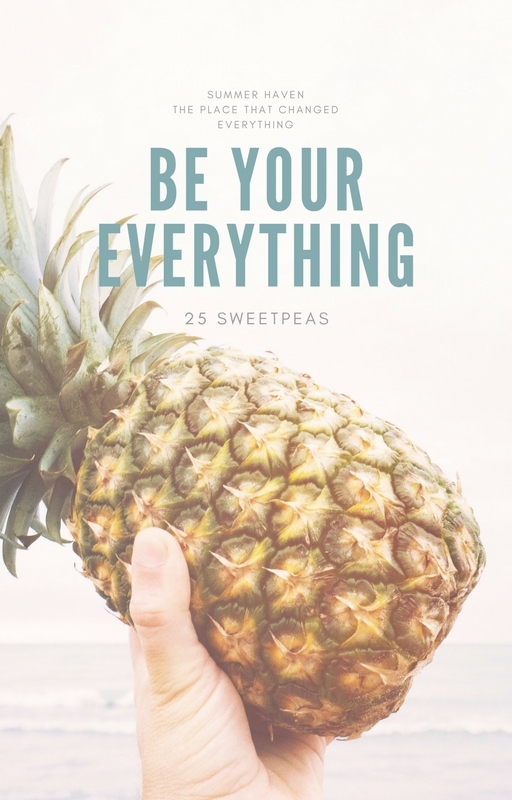 I recently recovered my book, and have actually been publishing more on wattpad. 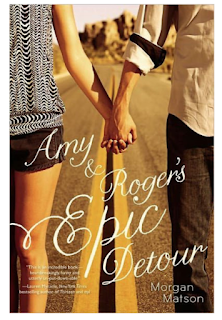 My book actually made it #232 on the ChickLit Charts which I couldn't believe. I mean that chart it made up of 1000 + books so I was most excited! 7. POLISH Oh my I have loved so many polishes this month! I think the line that stood out this month was Pretty Beautiful Unlimited Fantastic Fish and Where to find Them collection. The colors were so neat, and the names were fabulous! You can see the post about there here. 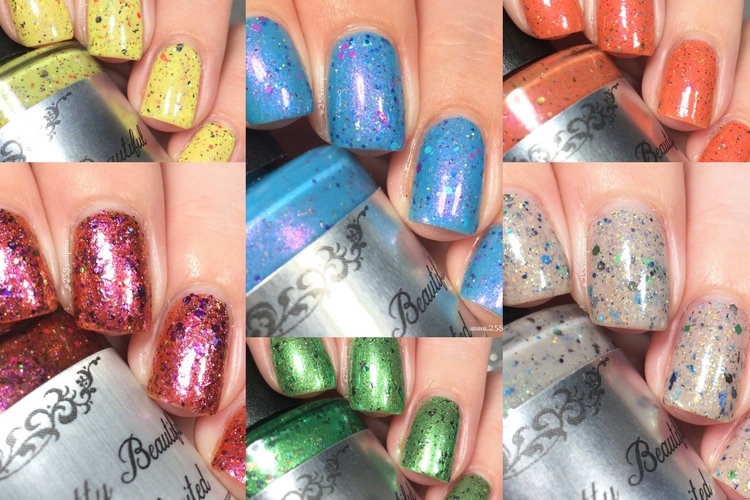 The pic above is of the colors I swatched for the line! 8. MAKEUP Ahh, I've been testing out some makeup this month and its been fun! I haven't shared the photos with you yet because I am wanting to wear them a bit before I make a final opinion. I think the first one will go up next week actually! I have the pics of the product just have to put together my final thoughts! :) Its fun!